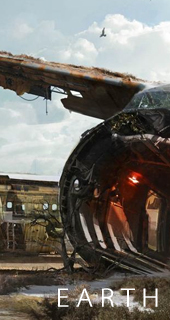 Destiny is set in the 28th century in a post-apocalyptic setting. Humans spread and colonized the Solar System with the help of a spherical entity known as "the Traveler" who reshaped the universe and taught us new technologies and mystical powers that led to a time later called the Golden Age. 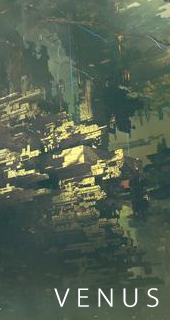 An event known as "The Collapse", an attack from the Darkness that saw the dissolution of these colonies and left the human race on the brink of extinction. The only known survivors are those living on Earth, who were saved by the Traveler. 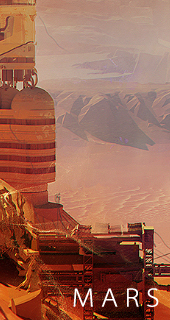 The Traveler hovers above the last remaining human city, and its presence allows the Guardians of the City, the ability to wield an unknown power. 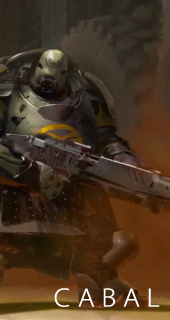 Destiny is a Sci-Fi Fantasy First Person Shooter. The player takes the role of a "Guardian" and must set foot in the wild frontier with your fireteam to defend the city and reclaim what has been lost. You are also partnered with your AI companion know as a "Ghost" (voiced by Peter Dinklage). Bungie has labeled Destiny as a "Shared World Shooter". Players seamlessly matchmake with other Guardians, even when playing solo, and you can regularly witness other Guardians' adventures and may even combine efforts in the wild, together. Destiny borrows social elements from MMOs, and character creation/investment elements from RPGs. There are cooperative and competitive elements, but you can go alone, you're just not alone in this world. Destiny also enhances the social aspect of gaming through the Destiny Companion, Cooperative, Public Events, Stats and discussion. Destiny incorporates a leveling system not only for the player, but for their weapons, gear, ships and loot streams. Players can choose to join Factions to fight against other Guardians in PvP or can choose to spend time "solo" where you can find exclusive loot. Destiny is designed from the ground up to be better when you play it with your friends. You can have solitary cinematic experiences, but the game entices you to participate in cooperative events. Destiny is the first game of a brand new 10 year IP from Bungie. It requires an online connection, there is no offline play. Players take on the role of a "Guardian" the defendants of the last safe city on earth. 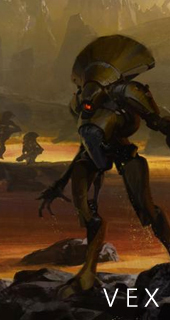 In Destiny, you can choose from different races (Human, Exo, Awoken) as well as Classes (Titan, Warlock, Hunter). While your race only impacts cosmetically, your class will impact your playstyle. Players can have up to three Guardian profiles on a single account, and you can use the "Vaults" in the Tower to trade items between your own Guardians. For more information on each class, click on the banners below. 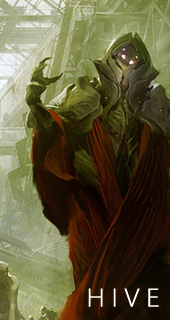 There are four known enemy races to the last safe city. Each of them have home planets that you'll see more of and there may be instances where you'll see enemies encounter each other. Enemies come in all shapes and sizes and different classes of enemies within each race, including boss battles. 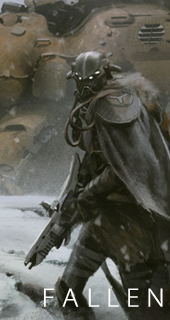 Click on the banners below to see more information about enemy races. At launch, players will be able to visit these locations. Each location includes one "explorable" play space, several story missions, strikes and crucible maps. Players will come across other live players while exploring to meet up with or pass by. 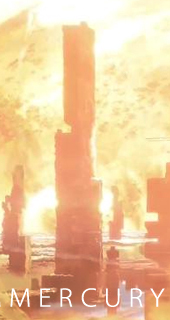 The only exception of Mercury, which has only been announced to only have one Crucible Map "Burning Shrine". Mercury is not fully explorable like the other destinations. For more information on each destination, click on the banners below. The last safe city on Earth. 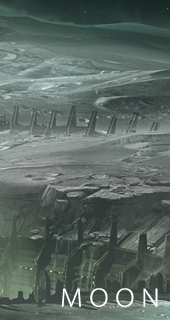 The tower is a social hub that gathers Guardians together upgrade their weapons, gear, ships, armor and more. You can attain bounties for missions against AI or other players to get rewards. When Guardians visit the Tower, they will be placed in 3rd person mode. Destiny's Campaign Storyline. You can choose to venture this alone or with your FireTeam. Choose to explore alone or with your friends. These are public spaces where you can see other Fire Teams and come across Public Events. Use this mode to find rare loot, complete beacon missions and to venture out in the wild. Destiny's Competitive Multiplayer. Play against other Guardians to test your skill and earn rewards specific to Crucible. Maximum player limit is 6v6, you can search in Crucible Matchmaking with a full team of 6 players. Cooperative Fire Team Mission. Entering a Strike, you will start in a public space where you can meet other Guardians similar to Explore. When you begin a Strike you will be separated to only your Fire Team. Destiny's ultimate cooperative mode with six Guardians. There is no matchmaking, the only known Raid is "The Vault of Glass". Good luck. That was a lot of information. Thanks Thermal! Definitely we can set one up. Have them join the site and we'll get it going. Login to www.bungie.net and search for the "SGO Elite" clan to join our clan. Wait a minute I think I talked to you guys a while back about having you merge with our clan or be apart of an alliance I have running. I don't see why we can't have an alliance. Do you guys have a site? We can expand upon our Destiny offerings/content here. We use a different site for our alliance. Clans of Destiny. If you go there and look up kurultai of guardians. Its an alliance right now where I'm only allowing the leadership of each clan join. After a while though I am opening it up to clanmates only. Alliance.is based on helping clans develop, provide a large clan experience, and to form clan events. Sure we can form an alliance with you guys! I am only able to do one alliance. Consists of five, soon to be more, other clans. So I cannot part from that alliance. I invested too much time in its development. Ok no worries sounds good. Anyways. Anyone excited about getting the game tonight?? I"ll probably go to sleep early so I can get up tomorrow and play. Got work tomorrow morning. After 5 EST I will be on. Ok, let me know your groupme info so I can invite you there as well. All going to need to be mic'd up and communicating well to beat end game instances. This is just based on my experiences, I am a Level 26 Warlock and I've put in around 80hrs since launch. I've done the weekly Strike and Nightfall on the hardest settings, and it's been fun! The first thing you're going to want to do once you hit 20 is start picking up the daily bounties and do as many as you can. You need to get your reputations to at least level 2 to access armor and level 3 to access weapons, and bounties are possibly the best way to get your reputation up. Next, you need to start running Strikes and Crucible games (Start with the daily ones on the left of your map screen when in orbit, they have bonuses to the amount of Marks you get!) to get your 100 weekly Vanguard and Crucible Marks. These let you buy guaranteed Legendaries (no RNG here!) for 65 Marks (boots, gloves, chest) or 120 Marks (Head). Weapons are 150 Marks. By capping both Vanguard and Crucible Marks you can buy two items this week, and two items next week. Hurrah in under 14 days you can have a full set of Legendary quality armor. Try to keep pushing the difficulty as far as you can. You can with care easily tackle content two levels above you and doing so gives better rewards. Hardened teams of pro's can try for three levels above them. Any rare items you get while running Strikes/Crucible that have more Light than the one that you are wearing, equip it regardless of the other stats. Ideally you're hoping for full L20 rare gear initially, each slot starts as 13 Light and upgrades to 15, total of 60 Light will put you at level 24.